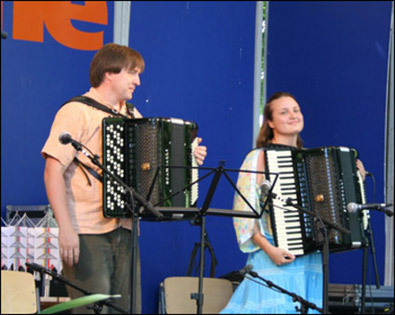 Born in Kazan (Tatarstan, Russia) in 1979, Alexander started to play a button accordion as a seven-years-old child, his first teacher being Natalia Mitenkina at the local Children’s music school. He had his first recital at 8 years age in a childrens garden close to the music school. His repertoire at school included pieces of J.S. Bach’s (Toccata & Fugue in d minor, Preludes and Fugues from WTC), J. Rossini’s “Figaro’s Cavatina Largo al factotum”, music of A. Kholminov and V. Zolotariev, V. Gridin’s greatest hits, A. Repnikov’s “Capriccio” and many more pieces of the great composers. In 1994-1998 Alexander studied with Evgeny Anichkin at the Musical College in Yoshkar-Ola (Mari El, Russia). His first concert at 19 years af age was a 2 hour solo program including an accompanying ensemble. His repertoire in college included organ works by J.S. Bach, “Islamey” by M. Balakiriev, Etudes by F. Liszt, music of V. Zubitsky, V. Tchernikov, V.Vlasov. 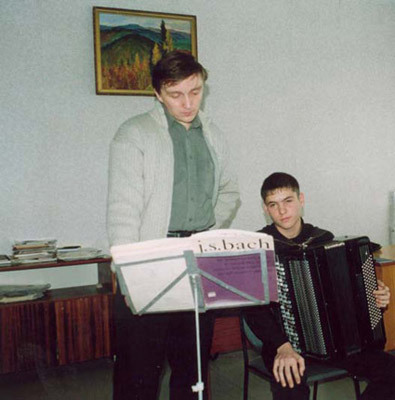 From 1998 to 2003 Alexander Selivanov was a student of the outstanding, world famous accordion composer and professor, Viatcheslav Semionov at the “Gnessins” Russian Academy of Music in Moscow. 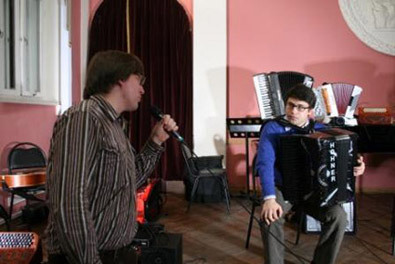 Under Semionov’s direction, Alexander formed himself as an artist, found his own way to choose a repertoire and a performance style and learned many secrets of accordion transcription. 2004 1st prize winner of “Coupe Mondiale”, “Klingenthal” and “Castelfidardo” competitions. Picture above left - Castelfidardo presentation. 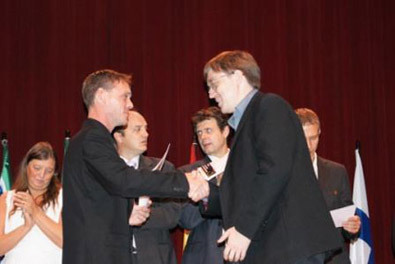 Picture above right is presentation, 2008 1st prize winner of Coupe Mondiale Ensemble Music Category with Yulia Amerikova – duo “Una Sinistra” presented by CIA President Kevin Friedrich. Picture above: 2010 Coupe Mondiale jury. 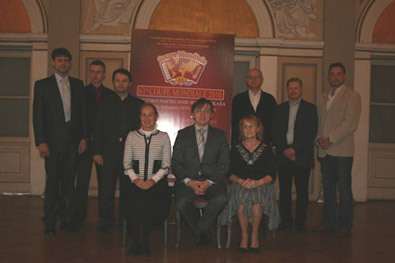 Picture above right is the 2010 Roland International Competition jury. 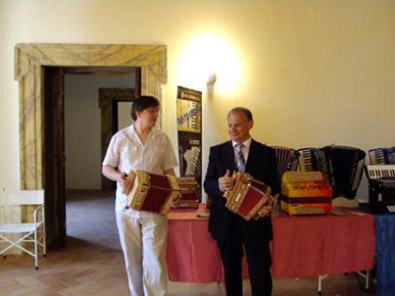 After graduation in 2003, Alexander was appointed to work in the “Gnessins” Russian Academy of Music accordion department as an assistant professor of Viatcheslav Semionov. 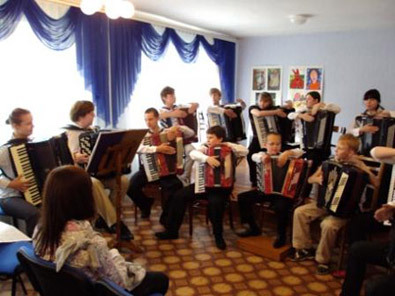 After 2 years, he became a professor with own accordion class, which now includes students from Russia and China. 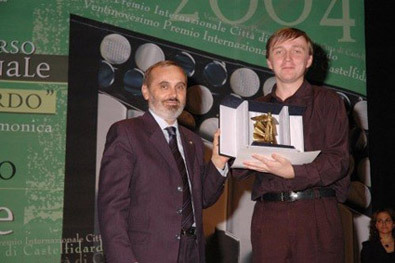 In 2010, his student Alexander Veretennikov became the 1st and the 2nd winner of the 6th famous accordion competitions – Musical Vladivostok 2010 and Delphic games in Russia, Castelfidardo, Coupe Mondiale, Trophee Mondiale and Moscow International competition. 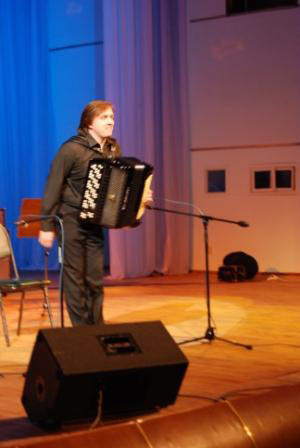 Alexander Selivanov has also taken part in Russian and international accordion master classes and seminars teaching classical accordion and lecturing. Alexander played as a soloist with such famous Russian orchestras as the Academic Russian Orchestra of Russian TV and Radio State Company under Nikolay Nekrassov (where he made a lot of records for TV, Radio and CD), “Ossipov” National Instruments Orchestra, “Gnessins” Symphonic Orchestra under Timur Minbaev, “Gnessins” Russian Folk Instruments Orchestra, Kursk Philharmonic Orchestra, Gubernatorial Orchestra of Russian Folk Instruments under Galina Perevoznikova, CIA World Accordion Orchestras 2008-2010. Music for accordion by Viatcheslav Semionov (solo, ensemble, orchestral versions), F. Angelis, V. Gridin, S. Gubaidulina, V. Zolotariev, V. Zubitsky, A. Kusjakov, P. Makkonen, J. Meisl, E. Podgaits, A. Piazzolla, E. Podgaits, V. Podgorny, A. Repnikov, V. Runchak, J. Tamulenis, Y. Takahashi, A. Timoshenko, V. Trojan, V. Holmboe, N. Tchaikin, V. Tchernikov etc. Works with orchestra: Concert N 1 by F. Roubtsov, Concert N1 E. Podgaits, Fairy Tales by V. Trojan, “Frescos”, “Basqueriad” and “Brahmsiana” by V. Semionov, “Dances of love and passion” by J. Meisl, “Aconcagua” by A. Piazzolla, works of V. Gridin and A. Timoshenko. Repertoir of “Una Sinistra”: transcriptions of works by F. Couperin, J.S. Bach, P.I. Tchaikovsky, I. Stravinsky, F. Poulenc, S. Barber. 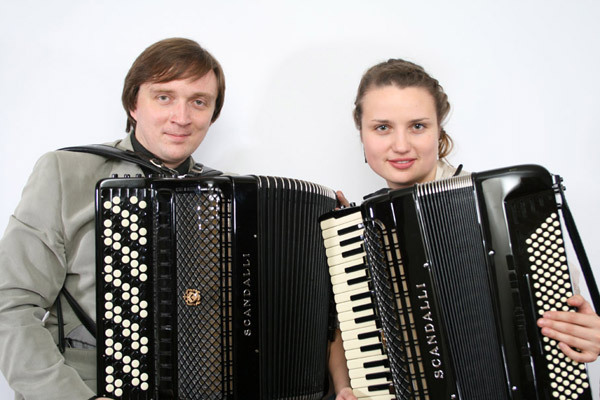 Accordion works by V. Semionov (“Balkan Rapsody” for accordion duo dedicated to Y. Amerikova and A. Selivanov), F. Angelis, J. Ganzer, A. Piazzolla, V. Gridin. Since 2004 Alexander is an artist, a teacher and a project manager of “Creative School Master-Class” (voting member of CIA and CMA). He organizes competition “Champion of Russia – Champion of The World” – Russian selection for Coupe Mondiale and Trophee Mondiale. 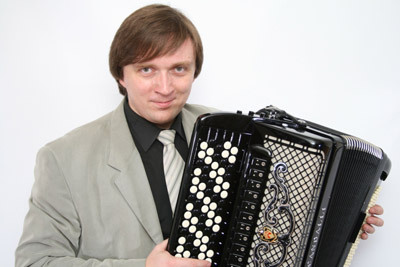 He organizes Russian Final of Roland V-Accordion Festival. He represents Russia in General Assembly of CIA 2009-2010 and Congresses 2009-2010 of CMA. 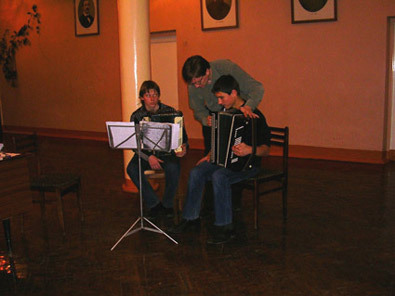 At the Musical college and “Gnessins” Academy Alexander Selivanov also studied a conducting with professors Stanislav Elembaev, Boris Demchenko and Sergey Kolobkov. Alexander conducted with “Gnessins” Russian folk instruments orchestra and Russian State TV and radio orchestra. 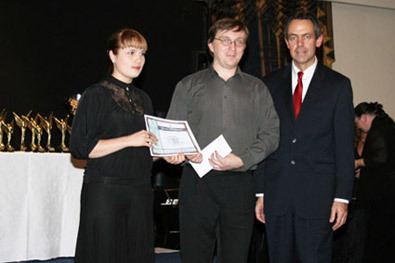 He is the winner of “Conductor Competition” and “Best arrangement for Russian folk orchestra Competition”. Since 2010 he came back to this kind of activities, organizing and conducting student orchestras during the accordion summer schools. 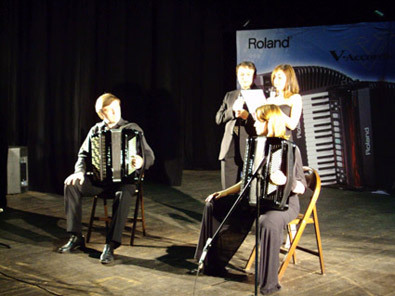 “Coupe Mondiale”, “Trophee Mondiale”, “Castelfidardo”, “Primus Ikaalinen” and “Roland V-Accordion Festival” competitions. Copyright Accordions Worldwide. All rights reserved.